There are supposedly some thinner AW11 inserts, at least in the interweb talk. Not sure anyone has found them though. Yep don't work and all the suppliers only have listings for the bigger diameter ones. I really do mean all suppliers. I'm doing a "de-conversion" of my ke11 from ke20 struts over the next couple of weeks, can take some photos if you need. I would seriously recommend getting a front swaybar though, they are still pretty average without one. Oh everything now seems to point to mk1 golf inserts working but I can'tcinfirm yet. Parrot, measurements would be amazing!! Kickn5k - same deal, photos would be super helpful or any other info you can provide. I want to run a sway bar but have been a tad put off after hearing about rubbing on brake pads, particularly ke20 ones. 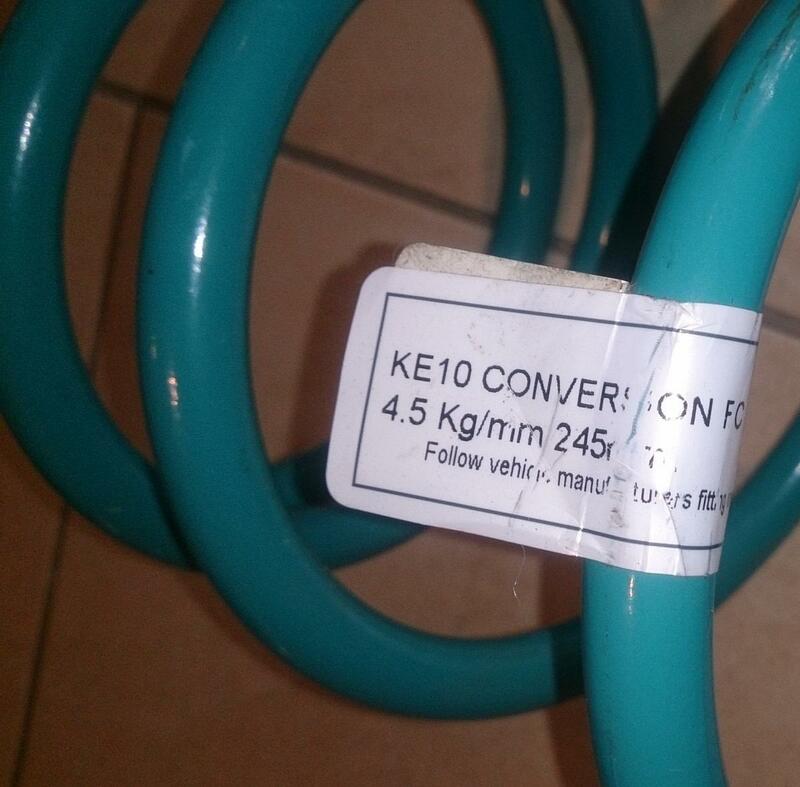 With this said, what is the part number of the one ke10s need? I wouldn't mind looking at the length etc. Thanks again for your input guys! Ps. so just to confirm, ke20 inserts have proven to be a hit and a miss on this forum? I have one of the real early signature bars they made, I've got zero idea what people complain about em. Honestly only touches them at full steering lock, I hardly get near full lock, if I do it's only at carpark speeds and one pump and the brakes are back to normal. Ke20 inserts also work BUT getting anything with sport valving is a pain to find these days. 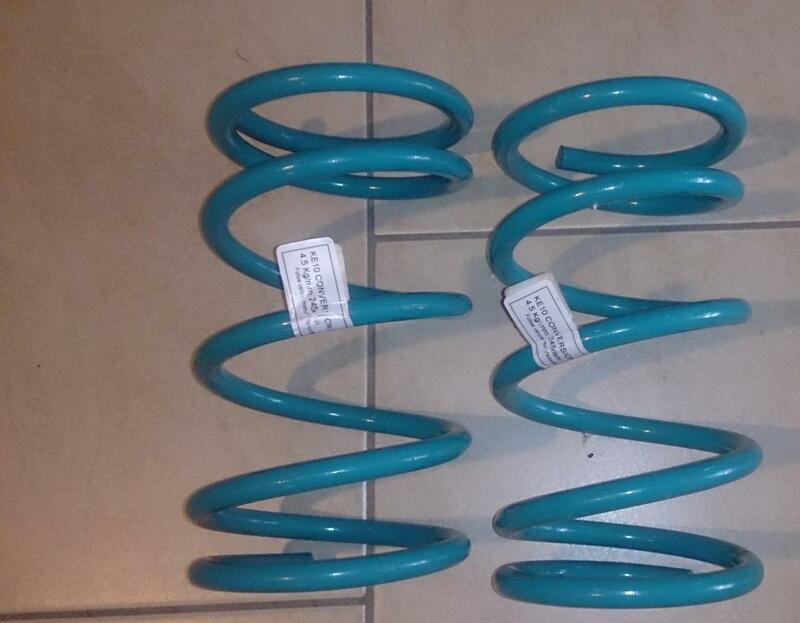 Remember that king springs will make any spring you like for about $200/pair. Specify length, rate and internal diamter at both ends and they will make them for you. 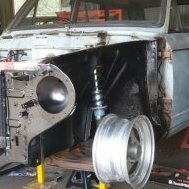 I did this years ago with coil over springs for the ke70. So don't feel like you are locked into ke20 lovel springs or whatever. Depends how serious you wanna get, but whats to stop you welding a bigger strut tube onto the ke20 base? then you can fit any shock you like that fits an ae86 or whatever, all kinds of options. I've just got one the ke20 struts out and apart, they are wet legs too. I will strip one and take photos tomorrow for you. So I too need inserts. I should have have an answer on what is available tomorrow. Cheers for the measurement Parrot, will give me something to start with. You boys are absolute legends. I've got the ke20 top hats and ke20 lovell springs already sitting there so it's a matter of fitting it up and seeing what to do with that shock. I'm not very familiar with suspension territory but Parrot are you saying that the stock/RX7/KP61/TRD shock is shorter than the ke10? No, that is what Cameron said in his ad for the springs. He is pretty clued up though, and I wouldn't be surprised if Stu is looking into the options now. The main problem of course is finding something with the right diameter. It's easy enough to space something up. Spacing down is a little harder unless you know someone with a lathe. Essentially you need to find something that will fit into the strut tube, with sufficient stroke. If you are going sporty, you won't need as much stroke, but you need to match it to your spring compression range so you don't bottom your inserts out and wreck them. And in a model that can be obtained in a sport or adjustable option. and explore the links. Bilsteins!